﻿ The File Backupper is a super flexible and fast file synchronization software with complete operational freedom. 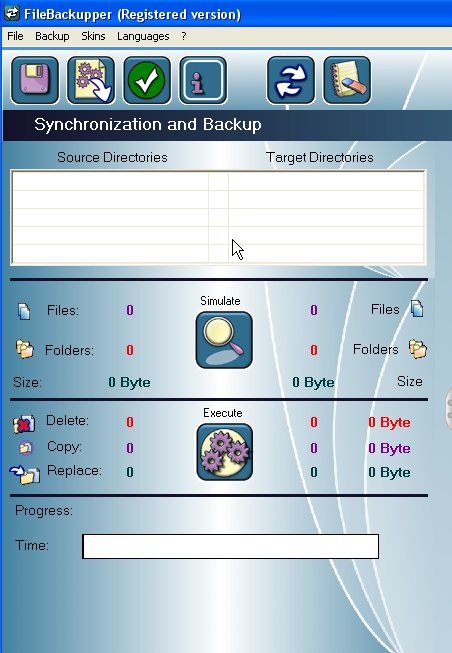 You can backup and synchronize your data within minutes. You have total control of how your files are going to be synchronized. You can specify what will happen to files that are newer, older, identical or extra in your source folders and your target folders, respectively. These files can either be copied, deleted or disregarded, freely adjustable to your own individual needs. Thanks to File Backupper you will always have full access to all of your latest data on all computers you use. You will be able to work on the latest versions of all your files anywhere you go and from any computer you use, even without any need of an internet connection. 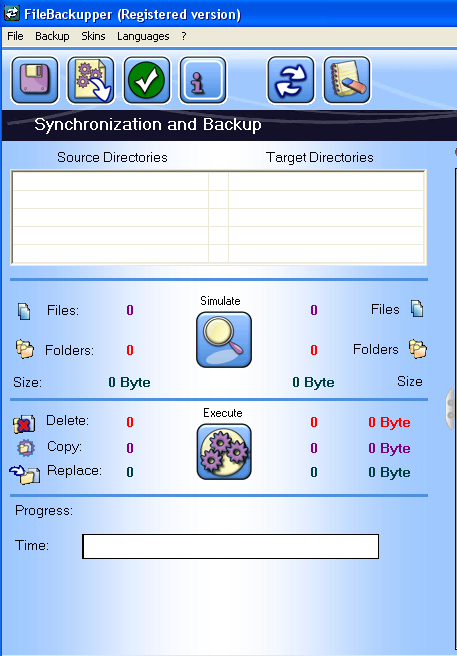 Define firstly one or multiple source and target folders (Drag & Drop) you want to back up or to be synchronized. Here you see a list of the operations ( delete, copy, replace) that will be applied to listed files. The filestate ( newer, older, extra, identical) is also denoted. It is possible to save or load such a ToDo list in order to use it several times or to use it to a later time. After you've reviewed the output, you can execute pending operations to back up your files. Of course you can simulate and execute with one klick without looking at the output. For that just hold the ctrl button while hitting the execute button. 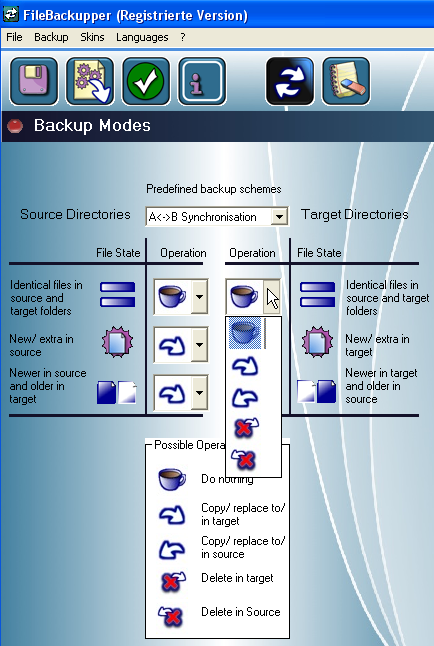 Besides the possibility to freely create a backup mode, there are two predefined modes you can select: the incremental backup and the synchronization backup mode. This is a strictly one way backup. Files in the source directories will not be changed or deleted. - A File that was modified in target (Newer file in target) is disregarded and stays unmodified in target, but will not be copied to source. - an older file in the source directory is replaced by a newer file from the target directory. The extraordinary property of the File Backupper is the full operational freedom. You can freely select any operation ( delete, copy, replace) for a given filestate ( newer, older, extra, identical). 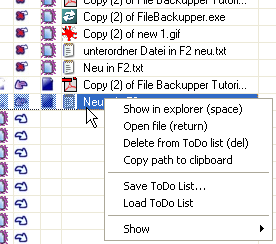 You can include and exclude data from your backup by specifying the file or folder name or by just dragging them into the textbox shown below.